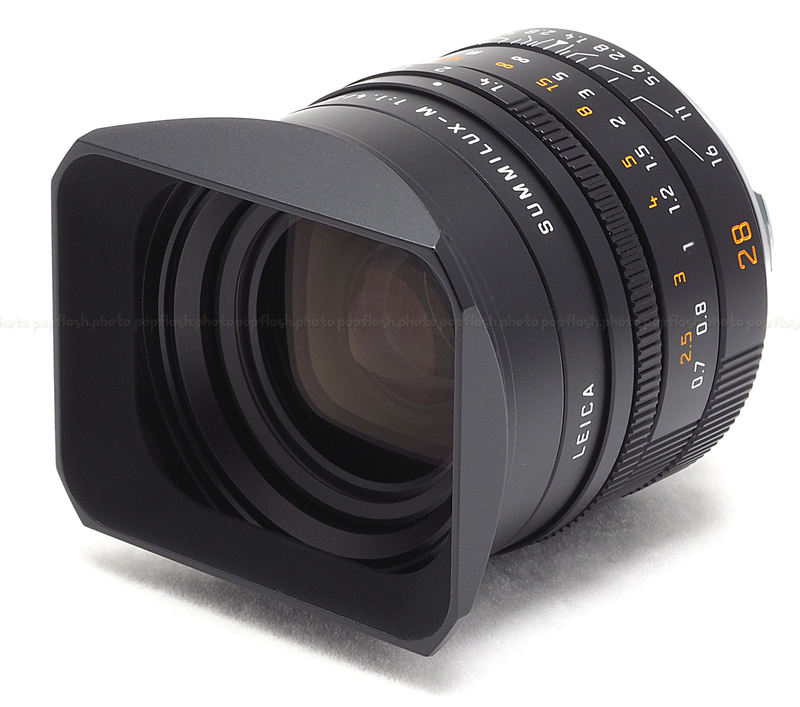 LEICA 28MM F/1.4 ASPH. SUMMILUX-M BLACK (6-BIT CODED) LENS #11668 USA NEW! 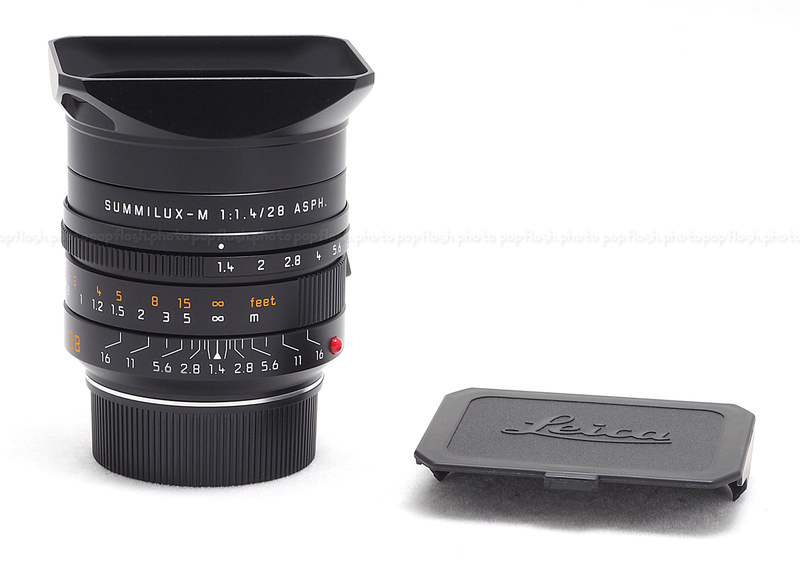 A wide, fast prime designed for Leica M mount rangefinder cameras, the Summilux-M 28mm f/1.4 ASPH. 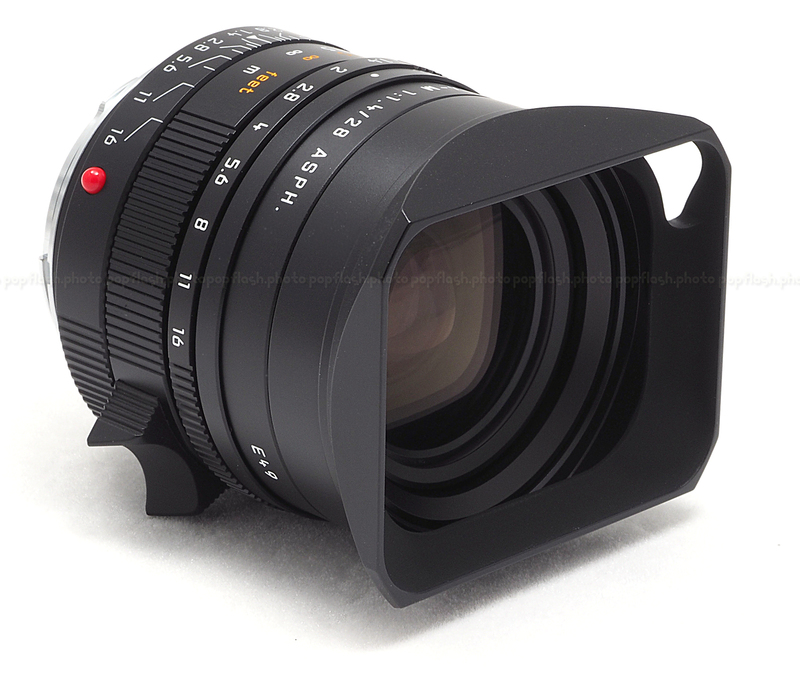 Lens excels in low-light conditions and is also characterized by its consistent sharpness and clarity throughout the aperture and focusing ranges. One aspherical element and one floating element, as well as elements made from anomalous partial dispersion glass, help to produce color-correct, sharp imagery with minimal distortion and aberrations. The manual focus design of the lens is aided by a focusing tab for critical control and the fast f/1.4 also lends itself to selective focus control for isolating specific subjects within the frame. 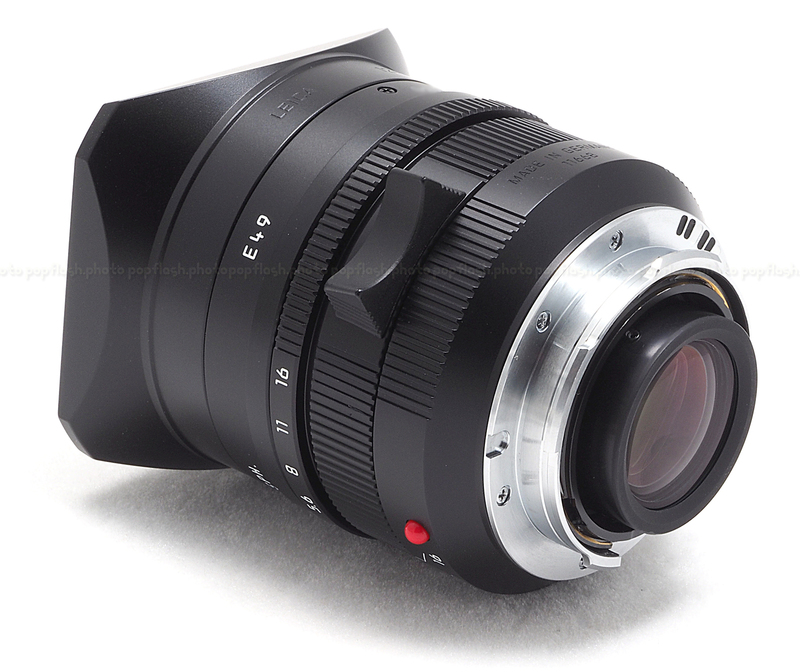 Featuring a versatile wide-angle focal length with a sophisticated optical design, the Summilux-M 28mm f/1.4 ASPH. 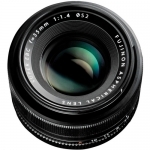 rounds out the full set of fast-aperture primes dedicated to offering the utmost in imaging capabilities. 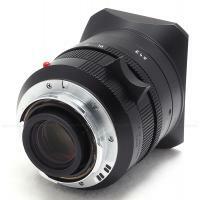 Wide-angle prime is well-suited to everyday shooting as well as landscape, reportage, and architectural applications. Fast f/1.4 maximum aperture benefits working in low-light conditions and also offers greater control over shallow depth of field and selective focus techniques. One aspherical element and one floating element are incorporated within the optical design to control aberrations and distortions at all aperture and focus positions. Seven anomalous partial dispersion elements and three cemented elements contribute to natural color rendering and high contrast imagery. 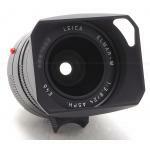 Manual focus design provides a minimum focusing distance of 2.3' with a maximum magnification ratio of 1:21.9.